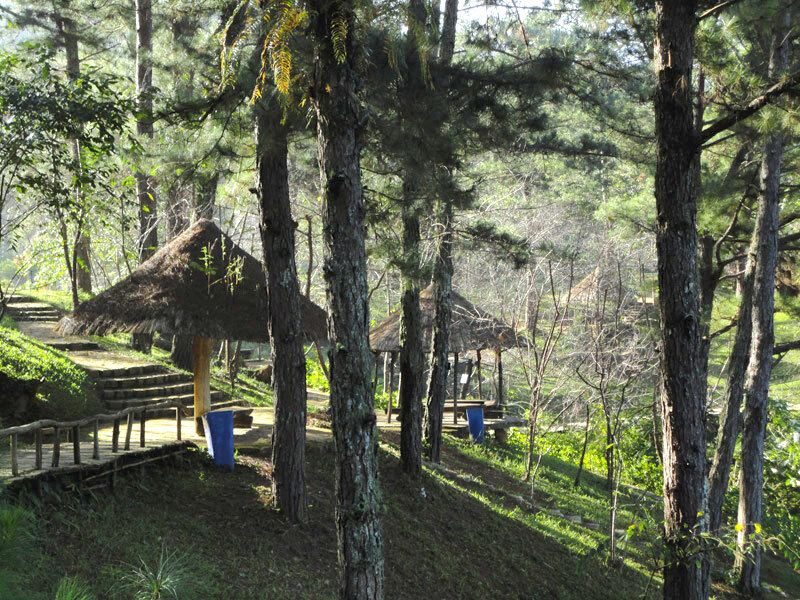 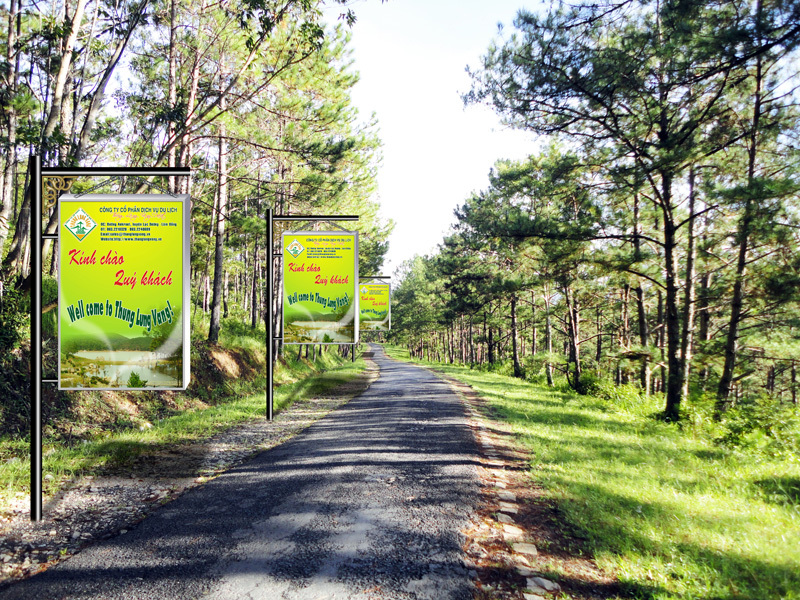 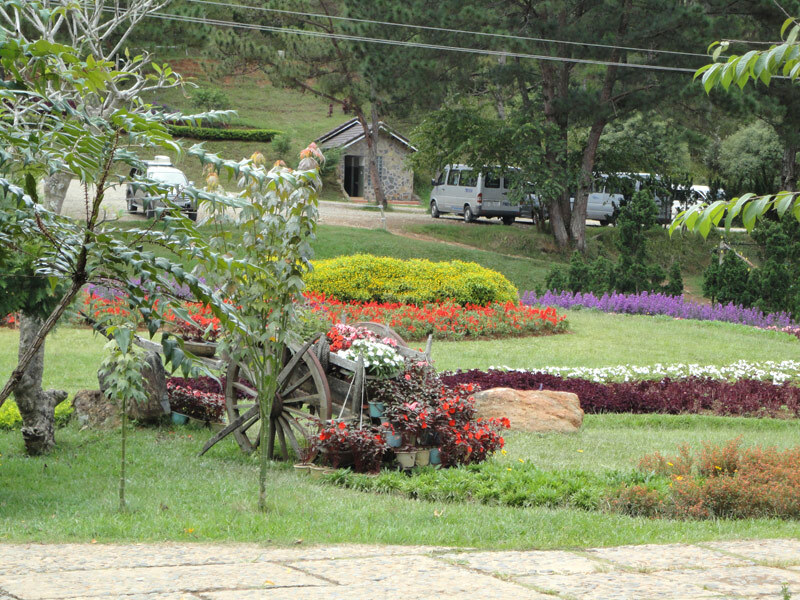 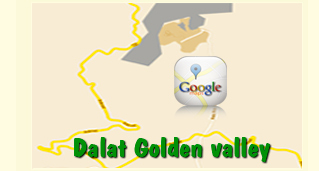 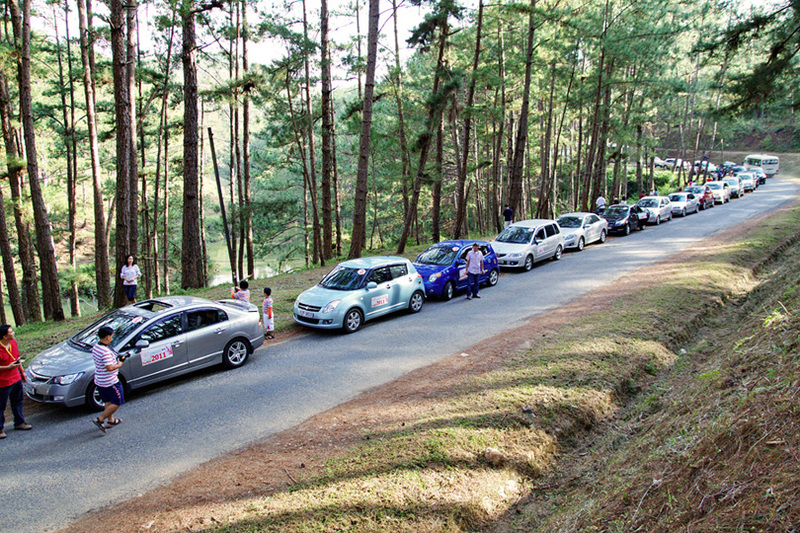 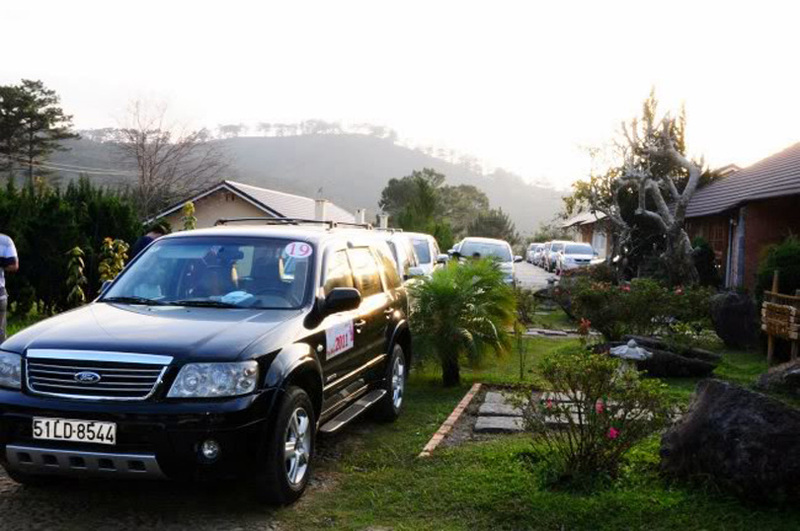 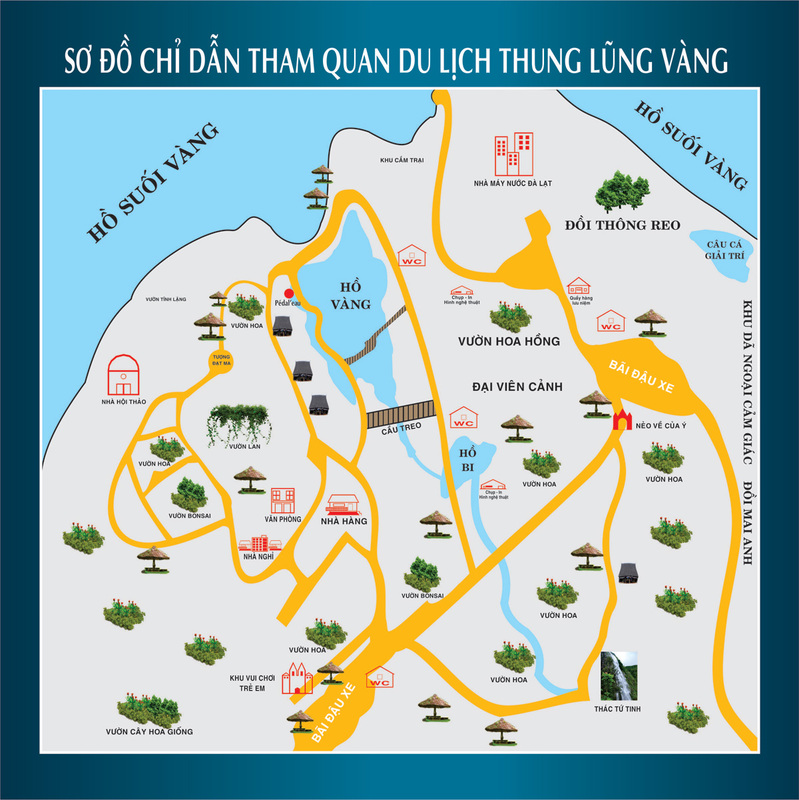 With the vast pine forests and large hill grass, Golden Valley in Da Lat is a romantic eco-tourism which has the special privileges of nature.The center of Dalat city about 15 km to the northwest, the Golden Valley resort is one of the new destinations of Da Lat, was put into operation since 2005. 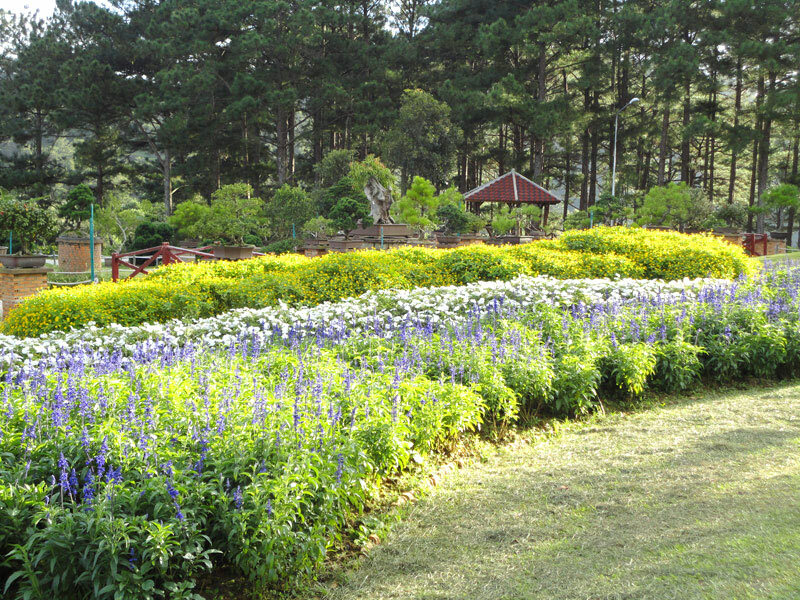 Gradually in the process of finishing operations, now, Dan Kia lake – Yellow stream, the valley attracts many visitors by its natural beauty and unique scenery, romantic views are created by human. 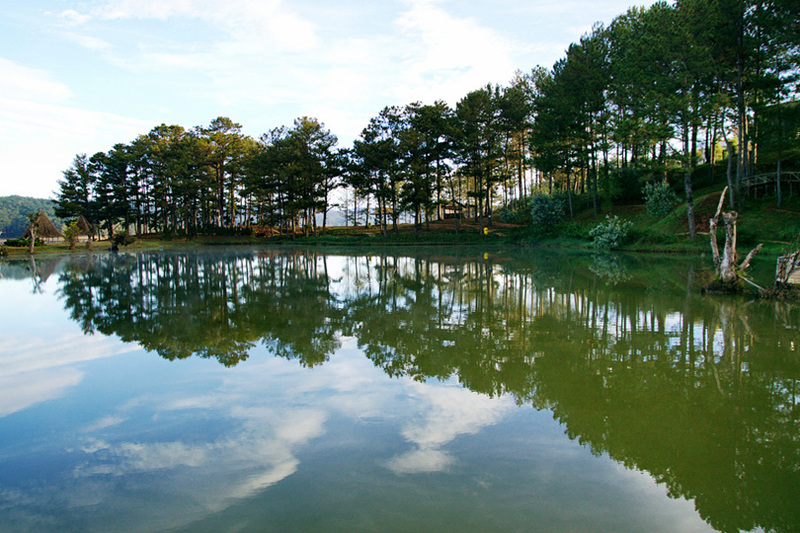 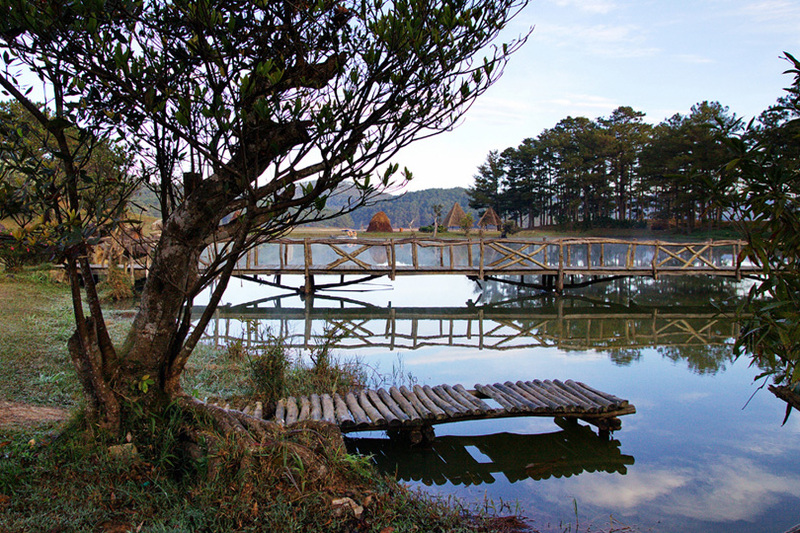 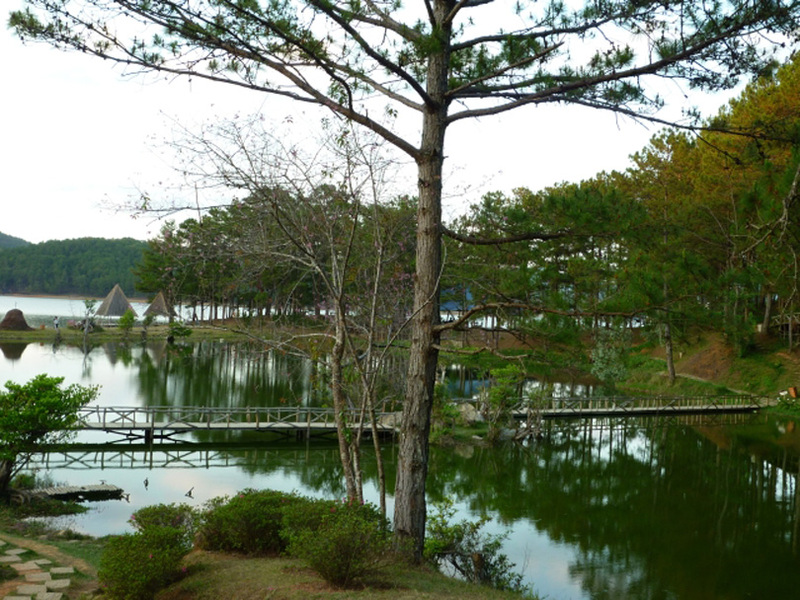 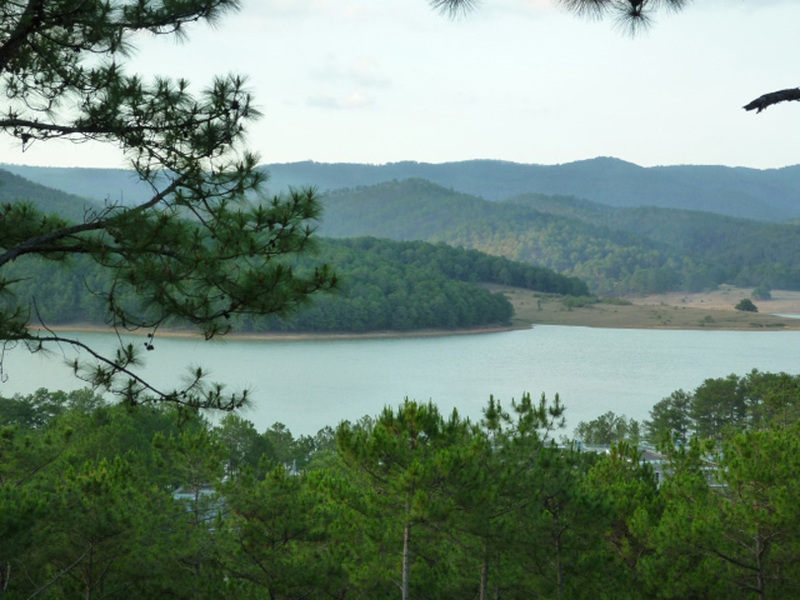 Dan Kia lake located in Lang Biang mountain foot, artificial lake provides water for Da Lat city. 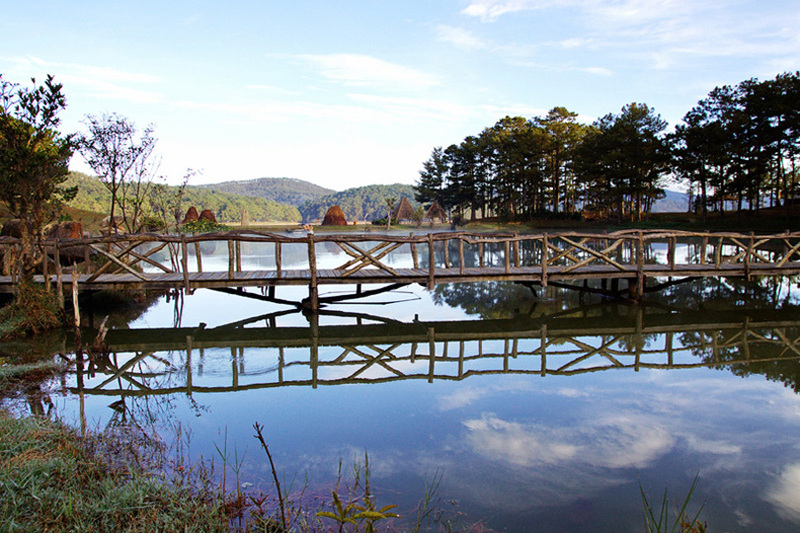 In the complex of 170 ha square pine forest and grass hill, Golden village is eco-tourism area which has the special privileges of nature. 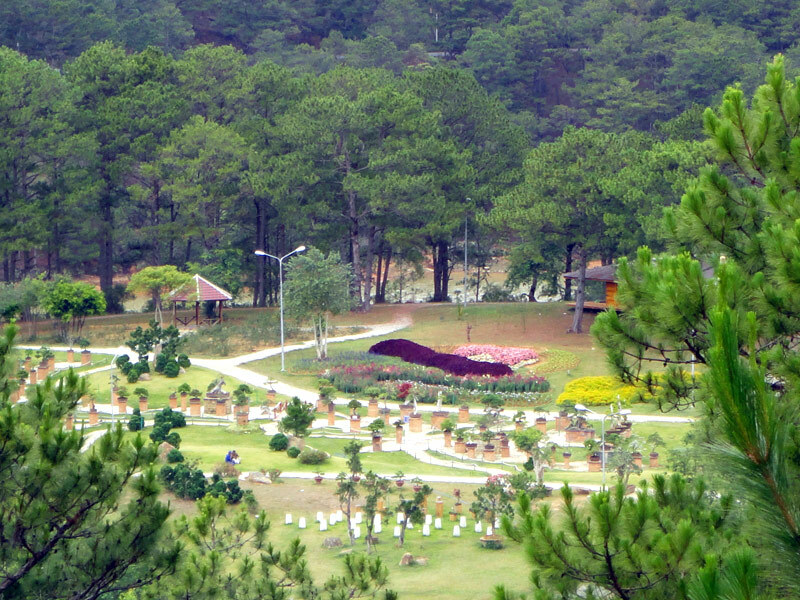 Pine and grass hill is the background of flower, rock, lake, waterfall and many beautiful scenery. 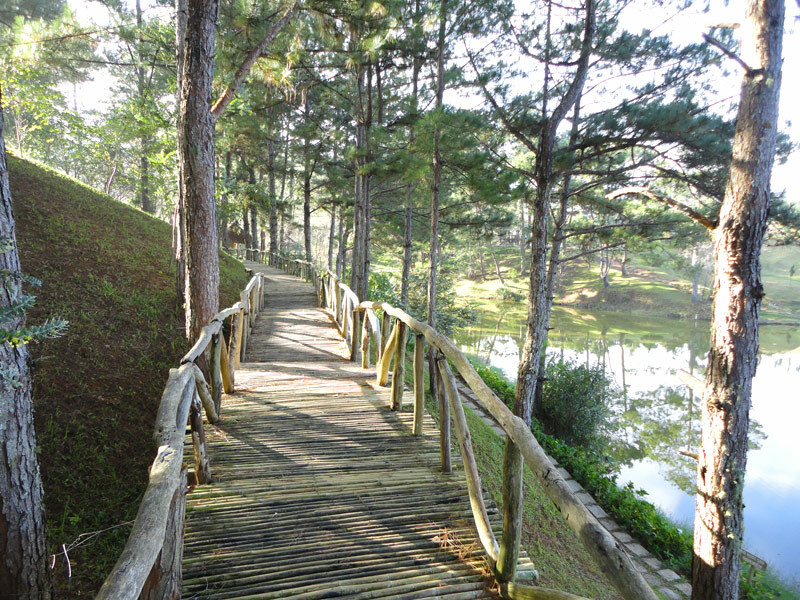 In pine hill, there is an artificial stream about 1km long like natural stream. 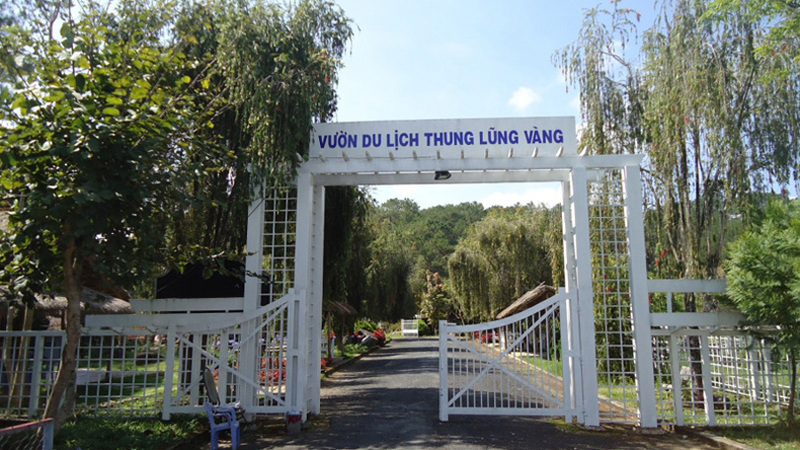 Water from this stream divided 2 lines: Tinh and Dong. 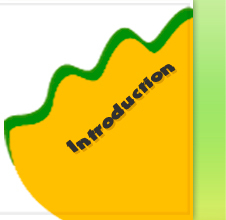 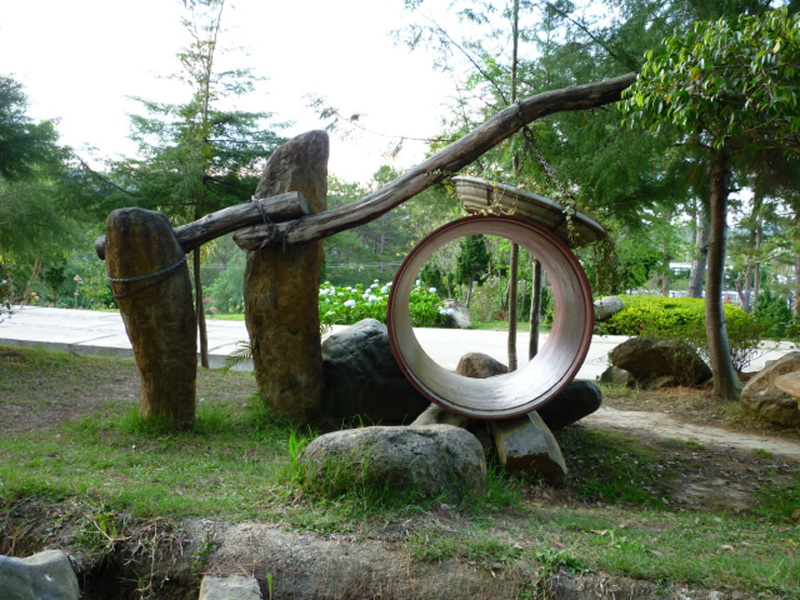 Through the soil way, 2 lines become one and make water wheel turning. 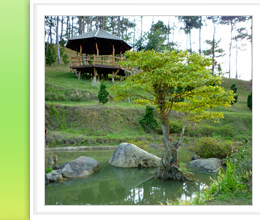 Stream line and water wheel make tourists think about water wheel in Central river and North forests. 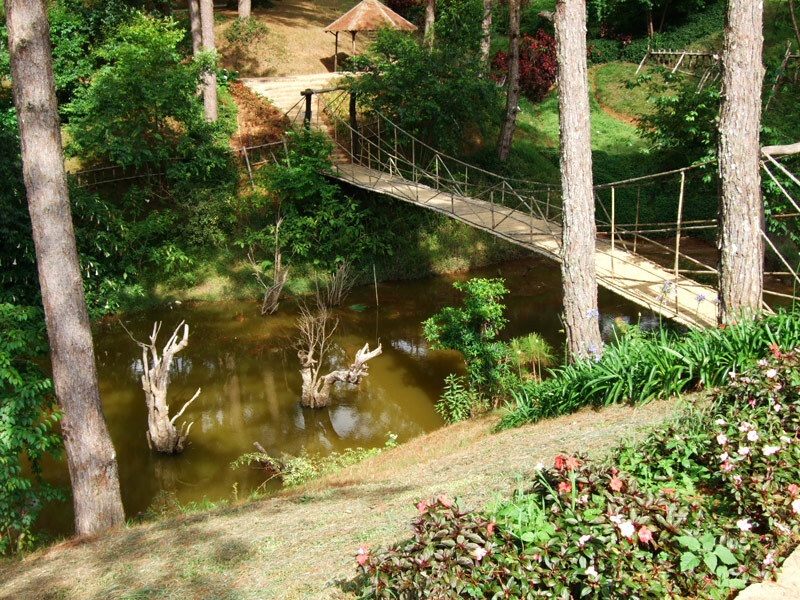 Far away, the bamboo bridge, wells, wood wheel, small house.. remind us about rural image of South. 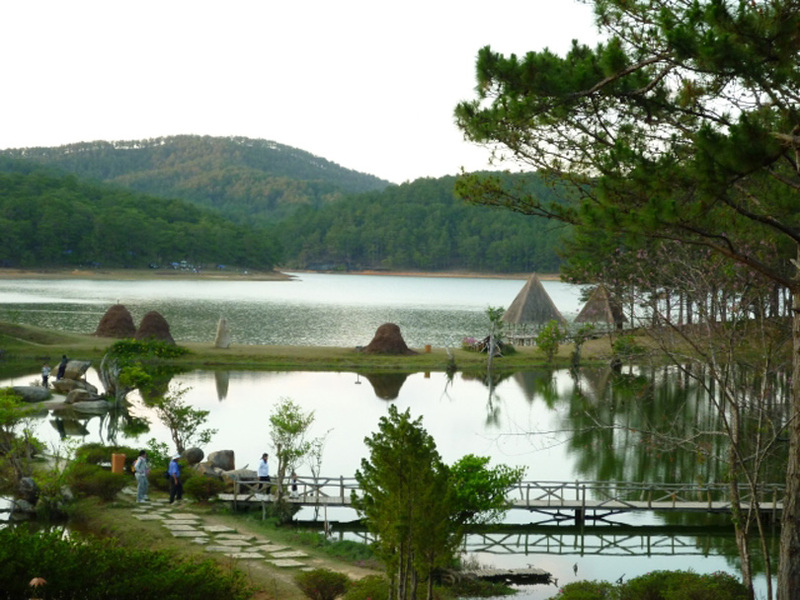 Walking in valley, tourist can take some photos in flower hill, pine forest…Next, keep walking along flower to stone structure gate, a rock style calligraphy engraved on the mind as an anchor point for the greeting gate of the Golden Valley.